Truth in Justice hasn't added a story. Penny Brummer has been imprisoned since 1994 for a crime she did not commit. 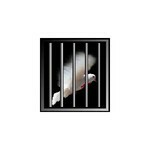 Worse, the real criminal has remained free to commit more crimes against the most vulnerable victims, including murder. Help us bring justice to Penny and all his victims. On March 15, 1994, Sarah Gonstead, a 21-year-old Madison, Wisconsin woman, seemed to vanish. Three weeks later, on April 9, a bicyclist found Sarah's lifeless body in a secluded wooded area just outside Madison. Four days later, on April 13, police and prosecutors decided they knew who the killer was - Penny Brummer, 24, an acquaintance of Gonstead's. Today, Penny is serving a long term at Taycheedah Correctional Institution. She has never stopped maintaining her innocence. Police arrested Penny in part because she had gone barhopping with Sarah just before the disappearance; because Penny was a former military security guard with a knowledge of weapons; because, as an alcoholic, Penny sometimes blacked out or otherwise became unaware of her actions; and, maybe, because of negative stereotypes about lesbians, a category that includes Penny. Prosecutors claim that Penny took Sarah 1.3 miles up West Mineral Point Road from Jake's Bar, one of the places where they stopped on the night of March 14, 1994, lured Sarah into the woods to pee, and shot her in the back of the head. Penny says she dropped Sarah off at the 3054 Club on East Washington Avenue, where Sarah followed a short cut they had taken countless times, to her best friend Glenda Johnson's apartment. Penny last saw Sarah talking to a "petite" man in a leather jacket 24 miles from where Sarah's body was found. That man, a felon with a history of violence toward women, lived less than 2 blocks away. His most recent ex-girlfriend lived along West Mineral Point Road, about a mile beyond Jake's Bar. 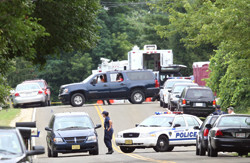 The efforts of police and prosecutors were directed at convicting Penny, rather than following the evidence. A witness who reported seeing Sarah's body being dumped the evening after her disappearance was told, "What you saw is all very interesting, but we have a suspect and it doesn't fit." With only the prosecution's cherry-picked evidence presented to the jury, Penny's conviction was, as they say, a "slam dunk." Although evidence from the scene where Sarah's body was recovered was not well preserved, Penny hoped that it would yield DNA that could identify Sarah's killer. Efforts to secure DNA testing began in 2007, and met strenuous push-back from the prosecutor and from the judge who presided at her trial. Evidence was misplaced, items intended for testing didn't make it to the lab, and no one bothered to get a standard of Sarah's DNA for comparison. The effort continued, in fits and starts, until 2015. Absolutely no DNA connecting Penny Brummer to Sarah Gonstead's death was found. Unfortunately, no DNA that would identify Sarah's killer was found, either. But let's back up, to 2007, about the same time lawyers from the Wisconsin Innocence Project were beginning the quest for DNA testing in Penny's case. Another young woman, Kelly Nolan, disappeared while out drinking in Madison, after separating from friends. The site looked strikingly similar to the spot along West Mineral Point Road where Sarah’s body was found in 1994. Kelly's last hours—partying from one bar to another, too much to drink, separating from friends, then disappearing—are also remarkably similar to Sarah’s last hours. Remember the man Penny saw talking with Sarah? By 2007, he had moved a few times, and during those intervening years, he had lived just a few miles from where Kelly's remains were found. No arrests have been made. The case has gone cold. We are raising money to pay the costs of a professional private investigator to uncover evidence leading to the arrest and conviction of the man who killed Sarah and Kelly. The evidence ignored in 1994 and again in 2007 is still there, ripe for development. Solving these murders brings justice to all three women -- Sarah, Kelly and Penny. It protects the community, and saves the lives of other potential victims of this opportunistic killer. Instead of watching television detectives solve fictional crimes, you can play a vital role in solving two murders and preventing more of them by generously donating to this Justice Fund. We are offering a $1,000.00 reward to anyone providing information that leads to the arrest and conviction of the person(s) responsible for the death of Sarah Gonstead and/or Kelly Nolan. See WhoKilledSarah.com for details and email reporting link. Who is the campaign manager? Sheila Berry, who is President of Truth in Justice, a nonprofit concerned with wrongful conviction, and who wrote "Who Killed Sarah?" along with her husband, Doug Berry. 2) Share this story with everyone you know using all of your social networks. Point people to this web page or to whokilledsarah.com. 3) A reward of $10,000 will be paid for information leading to the arrest and conviction of the person(s) responsible for the death of Sarah Gonstead. If you know anything, call 800-407-1178. Do the right thing, and be rewarded for it. Truth in Justice hasn't posted any updates yet. Your own copy of "Who Killed Sarah?" 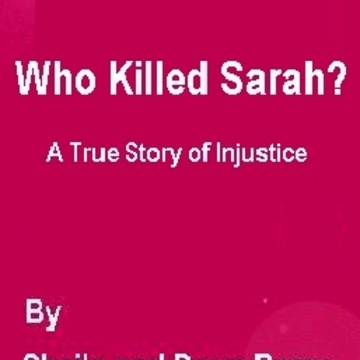 All persons who donate $25.00 or more will receive a copy of "Who Killed Sarah?" in pdf format, delivered via email. Truth in Justice is managing the funds for this campaign.